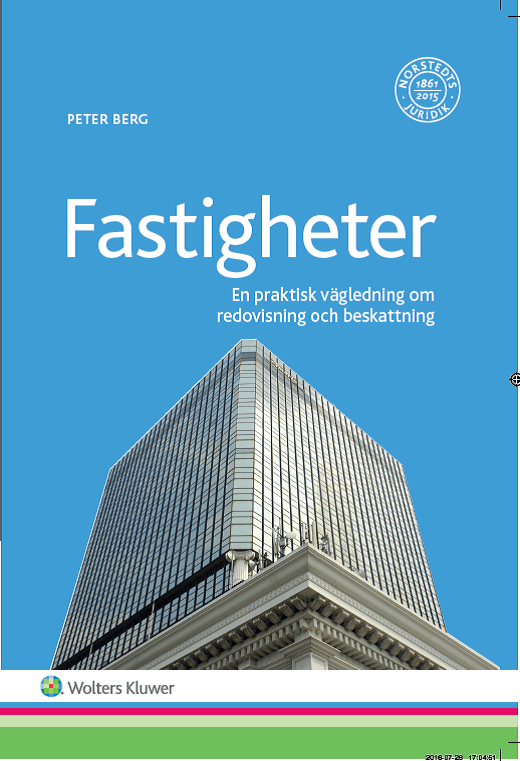 Today August 25, 2016, the book Real Estates (Fastigheter) is released in print to the dealers. Exactly on the scheduled day (se my earlier post Real Estates Coming Soon)! The book is published by the global information company Wolters Kluwer and they introduce it here. Their author presentation is here. There’s a lot going on about legislation and standard settings, so it’s only natural that things are happening already while producing this book.